Central govt. 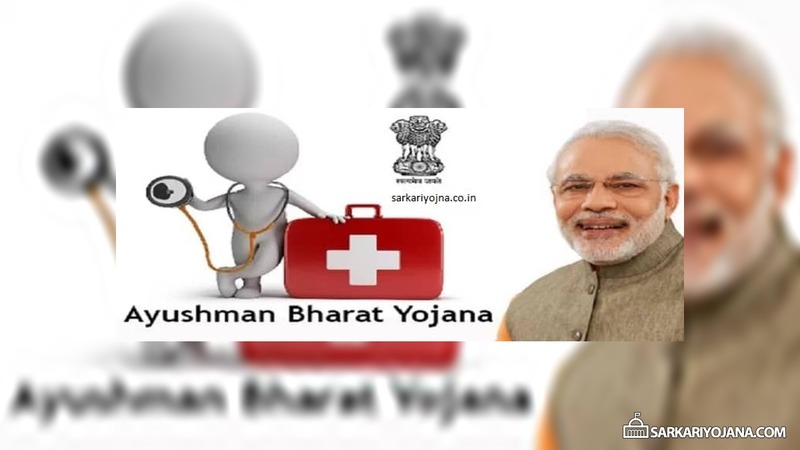 has officially launched Ayushman Bharat Yojana 2018 as announced in Union Budget 2018-19. On Dr. B.R. Ambedkar Jayanti (14 April 2018), PM Modi inaugurates first Health and Wellness Centres (HWC) in Jangla, district Bijapur, Chhattisgarh. Under NHPS, central govt. will transform sub-centers and primary health care centers into HWC to provide comprehensive healthcare to people from below poverty line (BPL) families. See complete List of Services. 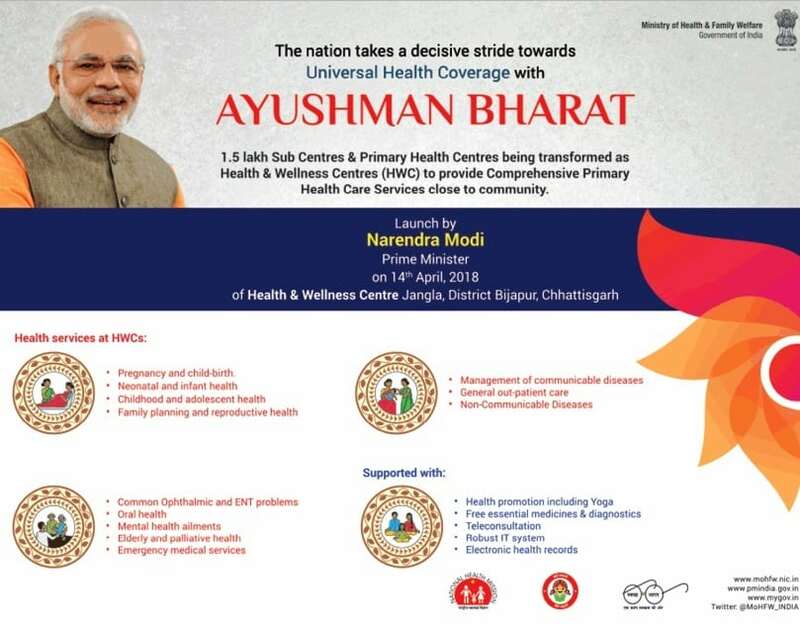 Last month, cabinet has also approved the Ayushman Bharat National Health Protection Mission (AB-NHPM). Under Universal health insurance Scheme, all the families whose name appears in the All India Final BPL List 2018 will get an insurance coverage of Rs. 5 lakh per year. Latest Update – Check Ayushman Bharat (PMJAY) List of Hospitals to find Ayushman Bharat empanelled hospitals. This centrally sponsored healthcare scheme is applicable for all secondary and tertiary hospitalization process in public / private empanelled hospitals. National Health Protection Scheme beneficiaries includes 10 crore bpl families and is the biggest scheme of India. See Ayushman Bharat Yojana List of Beneficiaries. Treatment Package Rates for 1352 medical inspection and surgeries are finalized by the govt. and will soon be uploaded on the NHPM Portal. All the BPL families whose name appears in the Socio-Economic and Caste Census – SECC-2011 data can avail benefits. This is a Universal Health Insurance Scheme to provide free, cashless and paperless treatment to BPL families. This scheme will provide insurance coverage of Rs. 5 lakh to all bpl families per year. There is no income, family size, age and other limits to avail its benefits. ABY will also cover pre and post hospitalization benefits and its benefits are portable across the country. Payment of treatment will be made on Package Rate basis and all cost of treatment will get included in it.